Discussion in 'Headphones (full-size)' started by schneiderstudios, Jun 2, 2010. Hey guys, I recently received V-Moda's newest Crossfade LP headphones and I made an unboxing. They sound pretty damn good and they feel pretty well made too. Very lightweight even though there is a lot of metal. keep up the straight to the point no-******** videos! Could you describe more how they sound? Are they suited for any music genre? Amped or unamped? They don't need any amp. They have great bass response, they are great for pop/hip hop/rap/dance/alternative and some rock. They are actually very clear and warm sounding. They are very comfortable but not for long hours and they block a lot of outside noise.. The cable could be a problem though, it's a very long fiber nylon cable. But I wouldn't say they are worth their price tag of $250. They are definitely better than the Monster Beats, they don't use a built-in amp and still have the same exact bass response. They leak very little sound too. listened to this at the apple store, the high details are amazing. the bass is decent too. only thing is that this thing sounded little soft straight from the iphone. sound isolation wasnt as good as the B&W P5. wonder if this thing would sound good amped? Amp: Maveric D1, Fiio E5, Schiit Lyr. IEM: JVC HA-FX700, Klipsch S4. CANS: Shure SRH-840, Denon AH-2000, Koss Porta-Pro, Denon AH D7000, LCD 2, Sennheiser HD 650.
should sound amazing amped. But we developed Crossfade LP purposely using NO AMPS to get the dual-diaphragm driver to be efficient enough to sound best on anything from a nano, iPad to a macbook/pc. They were finally tuned with the iPad and iPhone 4 amps and sound in mind, so please listen on those devices for BEST output without any eq. will post thread soon about our development methodology behind Crossfade LP. I've researched now the over-ear/on-ear/dj market for 4 years and this site has been vital along with my dj/producer friends in every little hz to feature. post qs, i'll answer away in my thread to come... STAY TUNED! Bass equal to the Beats without the nasty built in amp and stupid battery requirements? These deserve a listen. 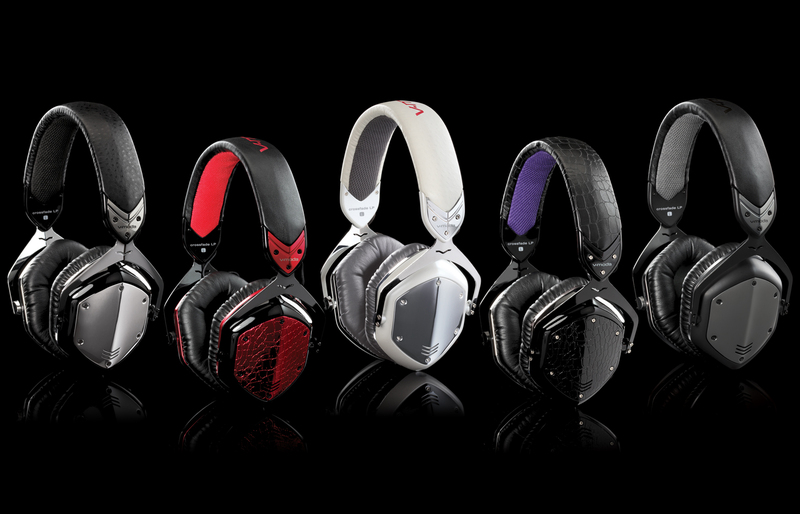 How would you compare the bass on these with that of the M50, the SRH750 DJ, the DT770 and the Monster Turbine IEMs? The thing I love about this set is the detachable cables. I just love those. I don't know why more HP manufacturers don't do it. A replaceable single-sided 3.5mm cable should be standard. The thing I *don't* like about these is the gymbal design. I rather they fold for portability. But I guess this design makes them as indestructible as anything that came out of Beyer's assembly lines. This just might be my next closed headphone of choice. If the bass delivers the way I want it, it may very well be. and the zip up case is pretty nifty. Noun: A weak or ineffectual person (often used as a general term of abuse). I really want to check these cans out, too bad they are currently not out yet over here. Or at least, I haven't seen them yet. I really want to put them in a shoot out against the Beats Studios, the Phiaton MS400, the Denon D2000 and the Ultrasone HFI780 which I think are its closest competitors. Oh and against the M50 for kicks. I still have my VModa Vibes, which is my oldest surviving headphone that hasn't been traded or given to someone else, which is a bit of a testament to how much faith I have in VModa's products. I can't get my head around the looks of this thing. Any pictures of what it looks like worn? Please don't send stuff to me signature required without asking first. I have zero faith in v-moda. The vibe series of in-ears has been so incredibly, obscenely, unforgivably shoddy in terms of quality and reliability. Everyone I know who has purchased one (brother, father, coworkers, friends), whether they be the originals or even the IIs, have had them fail. They're far from the only people, too; just about everyone seems to have an issue with their in-ears (Mochan, you have actually USED yours, right? Amazon, Apple... any online store I've visited is littered with complaints about failed buds). I personally am now incredibly wary of the brand, although I didn't know they made full-sized headphones, so maybe they have better build quality with those. LOL yeah I have used them. actually, you're right... my first pair died on me after 9 months! However my replacement pair has been going strong. Just crossing my fingers they don't die. I think it's the cable. My first pair had the fiber cable, which seems to die easier. My new pair had the rubber cable... which seems more durable. But what I meant was I had faith in the sound of them. I quite liked the sound coming out of the Vibes, a very spacious, airy and wide sound with lots of warm bass. Was just lacking in detail and resolution, but I guess I shouldn't have expected too much from a $50 product. I often felt the Vibe was a much lower end IE8 -- similar characteristics for sure, but yes the IE8 is leagues better. I really want to hear how the Crossfade sounds like. I hope they come out in the shops here soon. RE BASS - they have more bass and extension than the competitors all the way down to <5 Hz, and the mids/his are very similar to my old favorite the Pioneer HDJ-2000 that was the staple of my other DJ career. overall soundstage is what we internally say is the "audacity of huge". I tuned it based on input from LOTS of modern music producers and DJs especially and of course many consumers and a few big retailers. This product was in fact made by people who have helped make records for some of the biggest stars in the industry. I went on several tours around the world myself DJing/producing music and was able to sit down and ask lots of questions to these DJs, singers, producers and sound engineers to make a product we wanted for ourselves and built the way we want fans to EXPERIENCE the songs. they are truly authentic music lifestyle vs made-up marketing. RE UTILITARIANISM SOUND - our mission is Utilitarianism Idealogy with 5 columns of input (PRODUCER/DJ, user [YOU], retailer, editors and me). OUR ACOUSTICS MISSION STATEMENT IS - GREATEST SOUND FOR THE GREATEST AMOUNT OF PEOPLE, ON THE MOST POPULAR DEVICES WITH THE MOST POPULAR MUSIC FOR OUR DEMOGRAPHICS. even several of my friends who are grammy-award winning producers have surprisingly switched to these for studio and production, which is a testament to clarity alongside the bass. However they weren't made to be flat-curved studio cans, they definitely were made to compete with a certain lifestyle headphone you probably have heard of for a sound that you can "feel the vibe". I think the definition of audiophile is changing as there is "classic audiophile" and "modern music" audiophiles. I'm an audiophile, I have a $500k home stereo system - but I love bass. Modern music requires it and the artists that make it WANT you to have the bass (pop, rock and especially hip-hop and dance). Relatively flat curves for mid-high, yet low bass extension that you can feel IS what many producers want you to hear and therefore to me is the NEW-AGE audiophile. RE QUALITY - I'll detail a lot more about V-MODA quality, but over the last year we've spent $2M, assigned 4 engineers with over 60 years experience from top brands and designed our own custom cables now that can withstand up to 1 million bends on our bend test vs 10,000 that is the industry standard. This is 100x of the 10k industry average standard. 95% of all headphones die from the cable and most of those die where the cable meets the strain relief. We're so confident in our new Kevlar cables with custom copper strands that we have a 2 year replacement warranty for in-ears and a lifetime 50%-off replay replacement program. Crossfade can drop from 6 feet over 70 times on a steel plate on average and still perform vs only 6-7 times from 5 feet for many over/on-ear headphone competitors. We've invested way more $ and time on quality R&D than we should have, and having problems with Vibe Duo's cables a few years ago really helped us to make all products over the top stronger for the long-term. We turned an issue into a huge selling point. But it wasn't our fault and we weren't alone, we adhered to top industry standards but it turns out the industry standards are not high enough and there was only 2 pin manufacturers initially that could fit certain devices! We use the same 6 factories that make most of our competitors and we've bought 10x of every competitor model for analysis, so I am confident that our VMQA standards are top notch. 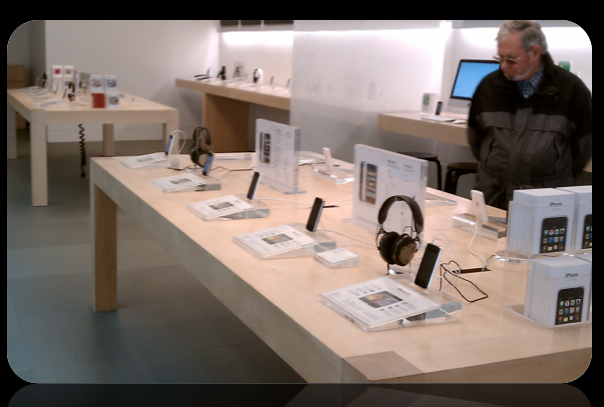 Anyone can audition Crossfade LP's at their local Apple Store.